Elaine N Marieb and Susan J Mitchell are the authors of this particular text book, written to help those with an interest in cats. Rent Human Anatomy Laboratory Manual with Cat Dissections online now and take advantage of the knowledge contained in this book. Published by Benjamin Cummings in 2010, this is the 6th edition to be released. Even if you have an earlier copy it might well be worth getting this pre-owned and discounted copy now. 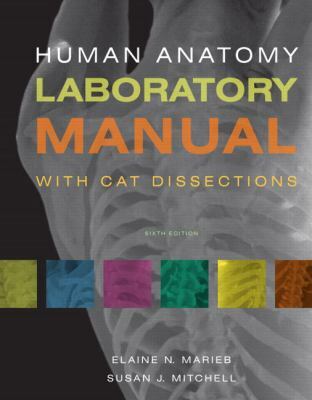 You can sell your Human Anatomy Laboratory Manual with Cat Dissections book back as well if you choose to do so, thanks to the buyback service we offer. Marieb, Elaine N. is the author of 'Human Anatomy Laboratory Manual with Cat Dissections (6th Edition)', published 2010 under ISBN 9780321667069 and ISBN 0321667069. Loading marketplace prices 21 copies from $6.92 How does the rental process work?